With the number of planning applications for basement extensions rising by 183% according to research by Halifax, tilers need to be aware of the potential for moisture issues that can cause a floor to fail. 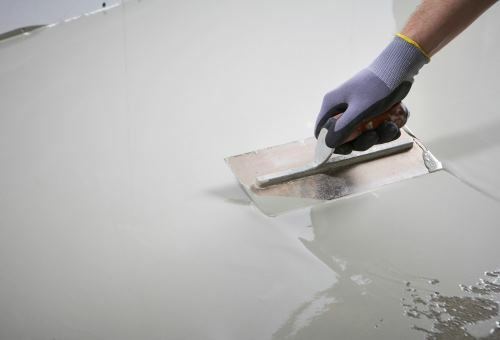 Surface damp proof membranes, like new BAL DPM, will protect tile adhesive and tiles from both ground floor water and residual construction moisture found in new screeds such as sand: cement and calcium sulfate screeds. As a rule of thumb, to achieve a moisture content of 0.5% water by weight (Carbide Bomb test) the drying time for a calcium sulfate screed – is approximately 1mm per day up to 40mm thickness under ideal site condition. Direct to earth cement: sand screeds will also require a DPM. One solution is BAL DPM which acts to control moisture and allows for the early application of a levelling compound or tile adhesive. BAL DPM can be applied onto a new cement: sand screed once the moisture content is below 98% RH as measured using an hygrometer. 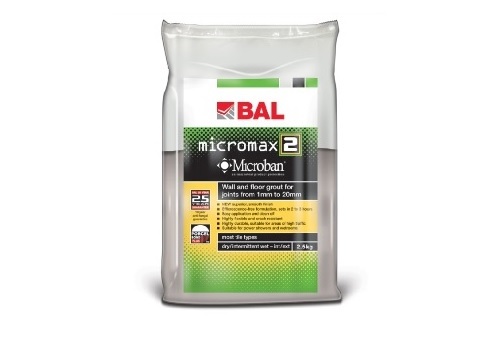 BAL DPM can be applied to new calcium sulfate screed once the moisture content is below 87%. Please note, it is important to obtain the screed manufacturer’s confirmation that the screed is compatible with a DPM and does not contain any additives that may reduce adhesion between the screed and the DPM. 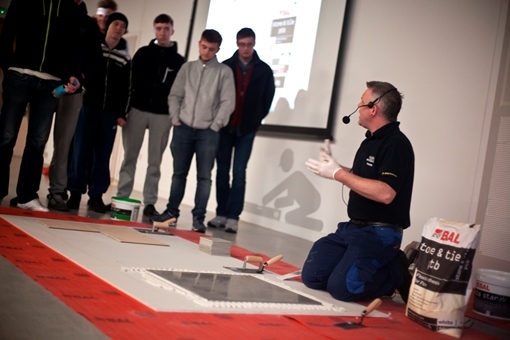 Before laying the DPM, ensure that all screeds are well-prepared and flat, with any laitance removed. As well as basements and cellars, a DPM should also be considered for other projects where a structural damp proof membrane is not present or is ineffective. This is likely to be the case in refurbishment projects involving buildings constructed pre-1970, where the installation of an effective structural damp proof membrane was not a requirement of the building regulations. BAL DPM is also suitable for balconies, terraces and patios which are due to be tiled, dependent upon design consideration. A DPM on an external tiled area will protect moisture sensitive stone such as granite from staining due to rising ground floor water, as well as rain water. For external tiled areas, we would always advice on the use of a capillary passive drainage system like BAL’s new external tiling systems which ensure the rapid drainage of tiled surfaces. As well as external areas, BAL DPM can be used in industrial installations that require resistance against dilute chemical spillages or pollutants such as chemical plants or manufacturing units. Unlike other DPM systems, BAL DPM is also suitable for walls, as well as floors, as it is resistant to hydrostatic pressure. Refer to the Technical Data Sheet for detailed application instructions. As a multi-purpose product, BAL DPM can also be used as a one coat primer or as a two-coat waterproofing system. When sand-blinded, BAL DPM allows tiling onto difficult substrates such as steel. As a waterproofer, BAL DPM is an easy two-coat system when used with BAL Self-Adhesives Butyl Tape in corners and junctions. For detailed application instructions as a primer and waterproofing please refer to the BAL DPM Technical Data Sheet. Throughout history, natural stone has been used as a building material, and to this day it continues to be used as a wall and floor cladding. 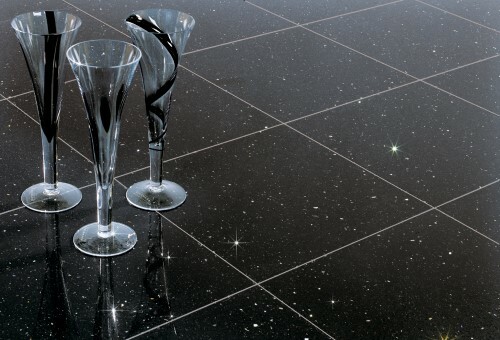 Natural stone has a timeless beauty that comes in a wide range of colours, sizes and textures. It also has practical qualities, providing a durable surface that will look good for years to come, making it a favourable choice for commercial and domestic installations. Installation of natural stone is a matter of knowledge and balance; the knowledge to identify the variables that can affect i.e. adhesion to a suitable substrate, and the ability to get the right balance between the stone, the substrate, and the environmental conditions to which the stone will be subjected to on site and in service. 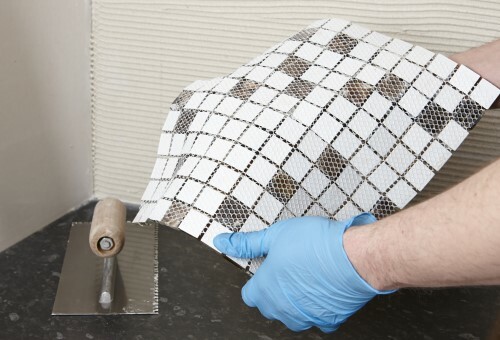 The first consideration when tiling with natural stone is making sure your background is prepared correctly in accordance with the recommendations given in British Standards BS 5385: Part 1 (internal walls) ) Part 5 (includes Natural stone and slab flooring) and Annex E of BS 5385 Part 3 (underfloor heating). New concrete must be air dried for at least 6 weeks before tiling, while new sand:cement screeds need a minimum of three weeks. If you’re in a hurry, there is always the potential to use a quick-setting product, such as BAL Quickset Cement as replacement for Portland cement in cement:sand screeds that you can tile on in just 24 hours (4 hours for bonded screeds) or use BAL Flexbone 2Easy a floating uncoupling mat that can go on new screeds that are walkable. 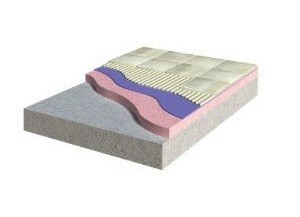 Plus with Flexbone 2Easy no preparation is required under the mat. Before tiling onto calcium sulfate screed, it’s important that all laitance is removed after 2-6 days, and the floor is fully dry with moisture levels less than 75% relative humidity (0.5% CM). This can take anywhere from 40 – 80 days depending on thickness. Drying time is approximately 1 day per mm up to 40mm, and 2 days per mm for screeds greater than 40mm. 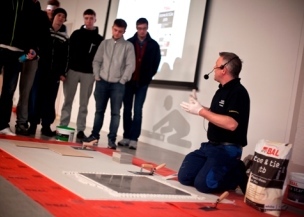 Alternatively you can use new BAL Flexbone 2Easy which can be laid direct to an anhydrite screed at 1.5% CM. If you’re tiling onto a screed that incorporates underfloor heating, there are more considerations before fixing can commence. For sand:cement screeds a minimum of 3-week drying period should be followed by a slow warming of the screed: about 5oC per day up to the maximum operation where it needs to be held for three days, or as per the heating manufacturer’s recommendation. Then allow it to cool, preferably with the heating off, or turned down below 15oC if the weather’s cold. A pre-warm up should also be considered for other backgrounds with underfloor heating, including anhydrite screeds. If commissioned, temperature should be gradually increased by 5°C per day approximately 7 days after initial drying until the maximum required working temperature is reached. This should be maintained for a minimum of one week, before being gradually reduced to around 15-20°C. 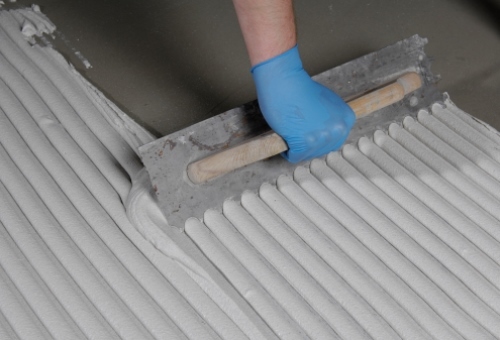 For heated floors use of suitable uncoupling matting, such as BAL Rapid-Mat or BAL Flexbone is recommended for applying stone tiles onto heated screeds. For new walls, don’t expect to fix over new Portland cement:sand render before at least 2 weeks’ drying – unless you’ve using BAL Quickset Render or similar, which sets in two hours at 20°C. No such waiting, though, if boards – such as new BAL Board – are the background substrate. But you must check that the stone tiles (plus adhesive) aren’t going to be too heavy. On gypsum plasterboard, for example, the limit is 32kg/m² – typically 10mm thickness for stone is the maximum. For other proprietary boards, such as lightweight tilebacker boards and glass reinforced cement boards, check with manufacturer as they may able to cope with heavier weights. With BAL Board, the weight limit is 100kg/m², making it perfect for use with natural stone tiles. When installing natural stone with tile adhesives, special attention should be given to your choice of adhesive. 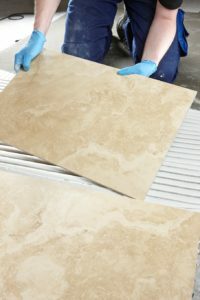 Some carbonate-based stones, such as marble, travertine and limestone, may be susceptible to drawing in residual moisture from the tile adhesive, which has the potential to cause problems. If this happens there is a strong risk of the stone being stained or watermarked. 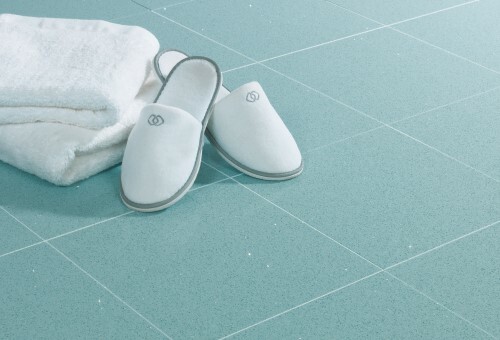 Furthermore, excessive residual moisture has the potential to react with certain minerals (such as iron oxides) and organic deposits in the stone, which could discolour the face of the tile. For certain types of stone use a rapid-setting white cement based adhesive such as BAL Rapid-Flex One. When using large format un-calibrated stone, to achieve a flat tiled surface, it is advisable to use a thick-bed pourable adhesive, such as BAL Pourable One. Trusted pourable products can offer bed thickness up to 25mm, and can be grouted after three hours due to fast-setting properties. The cement chemistry in this product uses up more of the water during hydration, thereby reducing water that could cause staining or reducing the likelihood of water staining. Some types of ‘green’ stone, can become dimensionally unstable when wet. Always fix these with a resin-based adhesive – for example, an epoxide resin type R1 or R2 to BS EN 12004: 2007+A1 2012. Importantly, when fixing, don’t ever consider spot fixing natural stone tiles. “Dob & Dab” fixing is the cause of many installation failures. 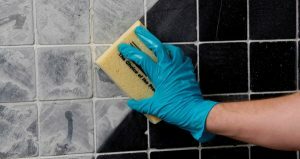 As with ceramic tiles, when fixing in wet duty areas or on floors, they must have a solid bed of adhesive to ensure all voids beneath the stone are eliminated. When tiling natural stone, solid-bed fixing should be adopted to achieve 100% bonding at the back of the tiles. Back buttering of a tile is recommended with uneven stone and/or large format tiles. Alternatively a suitable pourable flexible adhesives may alleviate the need for back buttering with large format stone and can help to speed up project time when floor tiling. The risk of spoiling the effect of natural stone is greatest when the grouting stage is reached. It’s generally wise to choose a grout colour that is similar to the stone tile colour – particularly with porous stone..
On very porous stone, the result can be a rough ‘picture frame’ effect around stone edges, unless tiles are sealed with a suitable sealer. The risk is also reduced by using reputable cement-based grouts containing a water-retaining agent, or by use of a rapid setting grout. When grouting natural stone, it’s advisable to carry out a trial on a small area to determine the risk of staining. When in doubt, use a suitable protective sealer and repeat the trial to ensure a satisfactory result is achieved. Finally to ensure installation success, it’s important that movement joints are incorporated in the floor tiling. For perimeter joints, a suitable neutral curing silicone or similar is generally advised in movement joints for stone tiling. That’s because acid curing sealants (e.g. acetoxy silicones) are bad news for some types of natural stone, especially marble and limestone. They chemically react with carbonates in the stone causing de-bonding at the edges. In high traffic areas, however, avoid sealant movement joints should be avoided altogether because they won’t prevent stone edge damage. In these cases, proprietary pre-formed movement joints are recommended. Overall there is a lot for fixers to consider, but by taking the appropriate steps at each stage, there is no reason why the beauty of a natural stone finish cannot be successfully installed and maintained for years to come. For technical advice and training that can be trusted, contact BAL Technical Advisory Service on 03330 030160 or our Innovation and Technology Centre on 01782 591120.